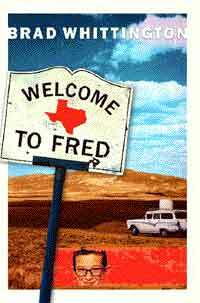 Welcome To Fred is a moving and hilarious tale set against the vibrant backdrop of the 1960s and rural America. It is the timeless and classic story of Everyteen in the hands of a master storyteller. Mark Cloud has his doubts. He's not sure if he'll ever feel at home in Fred, Texas. He's not sure that he can work up the nerve to declare his love to the girl of his dreams. He's not sure he will survive another ride with Darnell Ray, Terror of the Back Roads. And he's not really sure he buys the whole God thing. Which is an uncomfortable position for the son of a Baptist preacher. Mark's isolation begins in 1964 when the family moves from Texas to Ohio so Pastor Cloud can begin his career. After a bewildering series of schools, Mark finds his first true friend in his own backyard, a kid composed of equal parts intensity and hilarity with a letter for a name. Their encounters with The Creature fascinate Mark and terrify M. But just as Mark discovers the Sixties, hippies and Flower Power, he is uprooted and transplanted in an east Texas town the size of a postage stamp. For Mark, the typical teen struggle for identity and acceptance is complicated by his outsider status and his father's job. His encounters with the natives range from hilarious to heartbreaking. And an old book he finds buried in the library plants the seed of his secret doubt. After four years of alienation, he comes to place all his hopes for fulfillment on the family vacation to Los Angeles. The vacation is a comedy of errors that intensifies Mark's dilemma. But what awaits him in California is beyond anything he could imagine, as the answer comes from the most unlikely source.